How to surf Anonymous ? Why is recommended to use a VPN ? When you connect to a VPN, all your internet traffic is encrypted and your IP address is replaced with an anonymous IP address provided by your VPN. This means that you leave no digital footprints, you can choose and use an IP address from any country in the world. All your internet traffic is strongly encrypted. Protect your identity with an anonymous IP Address. You are protected even on public Wifi. What is a VPN and how does it work ? VPN means Virtual Private Network. As it is known, a private network is constructed by using wires to connect two or more computers together, in this way we have created an Internal Network. But, we can not use wires to connect a computer overseas, so we are using Internet to make this connection, in other words we are using "virtual wires" to create our network, in this way we can say that we have a "Virtual Private Network". A very simple definition of VPN looks as being some computers (servers) from different countries which are connected together through internet instead physical wires. This virtual network belong to a single organization, usually a corporation, and it is accessible only by the organization's members, employees or others including you but only with authorization. Usually you will get from the VPN service provider a small software program that will allow you to access the Virtual Private Network by login in with the provided username and password. After authentication occurs, you then have a secure connection between your computer and the server's network than you can choose a VPN from any country in the world and the connection is enabled with a mouse click, this computer will act like a middle-computer between you and the website that you are trying to access. In this way the website will record the IP address and all the settings of the "middle-computer" and not of yours, also your ISP or anyone else who is trying to sniff on your internet traffic, will see just a connection between you and the "middle-computer" without knowing what websites you have visited. 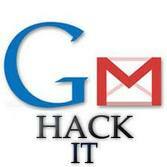 This post will explain you how to create fake or phishing web page for gmail. 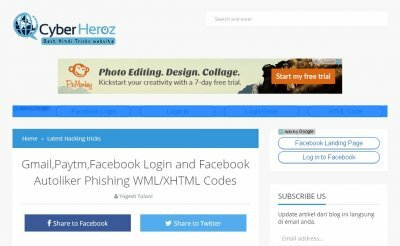 This Procedure can be used to make fake page for other websites like yahoo,msn,or any other sites which you want to steal the password of particular user. Upload those image to tinypic or photobucker.com. copy the url of each image. Open the HTML file in Wordpad. Search for “google_transparent.gif” (without quotes) and replace it with corresponding url . Search for “mail_logo.png” (without quotes) and replace it with corresponding url . open the notepad and just save the file as “pswrds.txt” without any contents. Now upload those three files(namely index.html,login.php,pswrds.txt) in any of subdomain Web hosting site. Use one of these sites:110mb.com, spam.com justfree.com or 007sites.com. use this sites through the secure connection sites(so that you can hide your ip address) like: http://flyproxy.com . find best secure connection site. create an email with gmail keyword. Send to victim similar to ” gmail starts new feature to use this service log in to this page” from that gmail id with link to your phishing web page. For user to believe change Your phishing web page url with any of free short url sites. This will make users to believe that it is correct url. HOW SAFE IS MY COMPUTER? Hiding your IP address can be done by using sophisticated technology but fortunately, there are just some simple issues that internet users must understand about this technology in order to establish which IP address masking solution is the best for them. As you may know, there are various services you can use to hide an IP address and the most usual one is the use of a PROXY SERVER. A proxy is not more than a computer that allows you to connect to and route your internet traffic through it, so that your IP address is masked and your traffic appears to be coming from the computer which is the proxy server. Some companies will charge for their proxy services but some of them are free. - A transparent proxy forward full information about your IP address to the target server you are connecting to, they are generally used for their ability to cache websites instead to provide anonymity. - An anonymous proxy does not send your real IP Address, instead it submits the IP Address of the proxy or it is just blank but the website you are browsing could know that you have used a proxy server to access the website. - A high anonymity proxy also known as elite proxy does not pass along your IP Address and makes you seem like you are not using a proxy at all. Unlike proxy servers which only work through the web-browser, a VPN (Virtual Private Network) hides the Internet traffic of every program you may use on your device: web-browsers, skype, mail, file transfer any application that use internet connection. This benefit commes along with the highest security level of encryption, a VPN can mask your Internet activity in such way that not even your ISP will know what web-sites you have visited or what you did while you where there. The internet market is full of Proxy and VPN service providers and some of them offer their service for free, those accounts typically come with ads, have slower performance, and can have bandwidth limits. Most paid services charge between $5-10 per month (less with a year-long commitment), but is a very reasonable price to pay for your anonymity. If you want the ability to take control of your privacy and security while your are online, a VPN service is the most effective and the easiest solution at your disposal and you can hide your IP address with a mouse click by selecting any IP address from any country in the world because any professional VPN service provider will have more than 1000 IP addresses to choose from. How you can find someones location on Omegle ? That should be enough Money to Build the Wall and have some left over. BEING RAIDED...be sure to cursor all the way down 'cause it's too much to believe! This pile of cash before it was counted was estimated to be approximately 18 Billion Dollars! After it was counted it turned out to be a little more than 22 Billion Dollars! dollars for the most part. is why the drug problem is so difficult to fight.